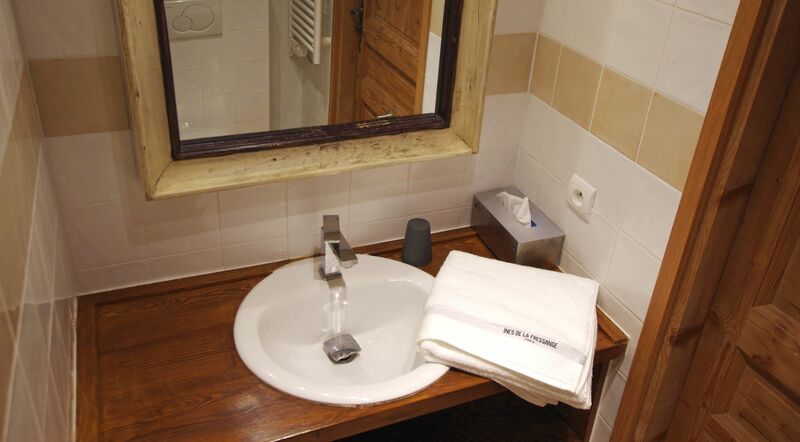 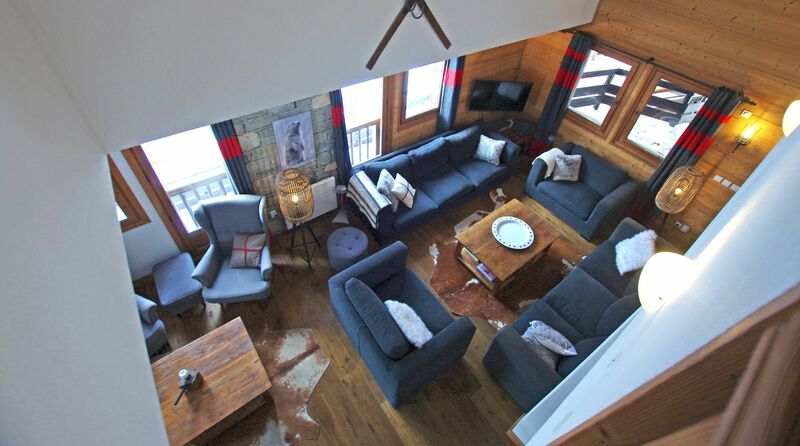 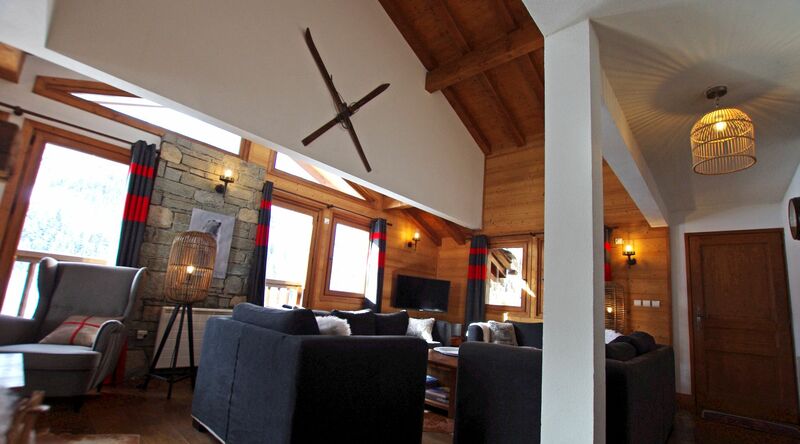 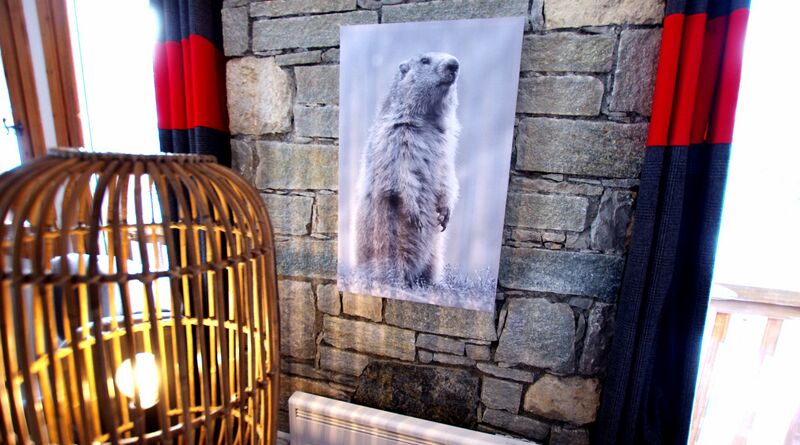 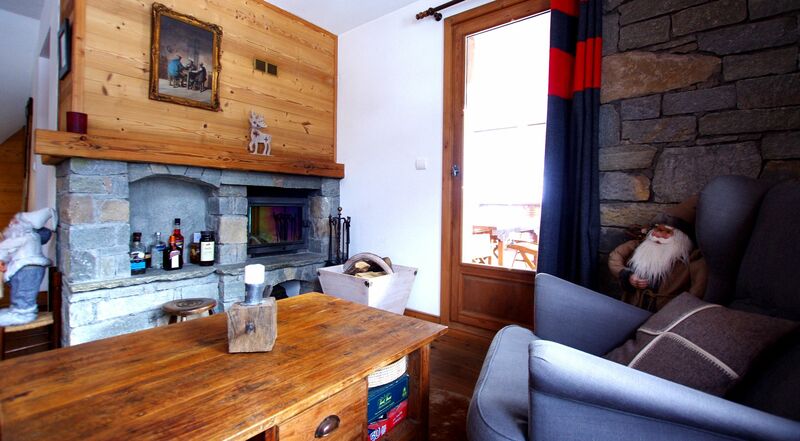 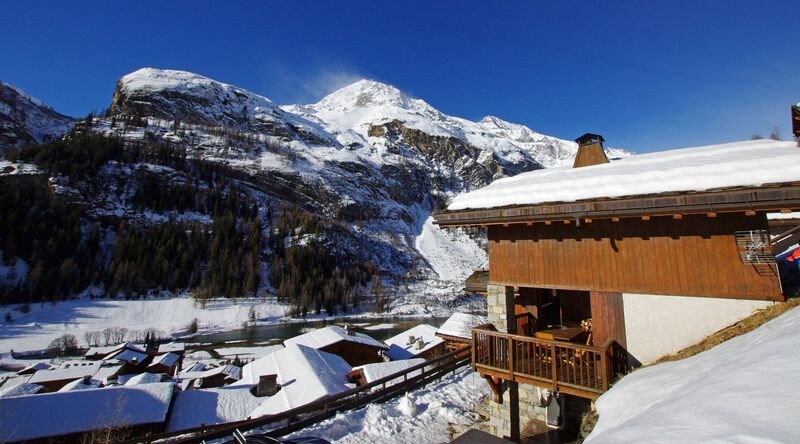 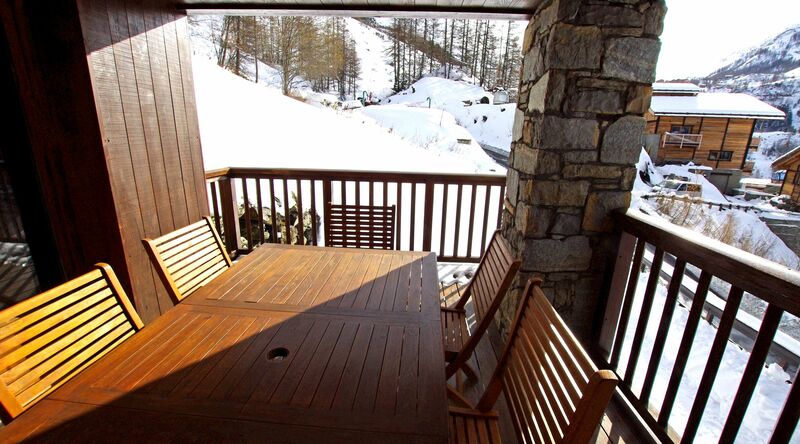 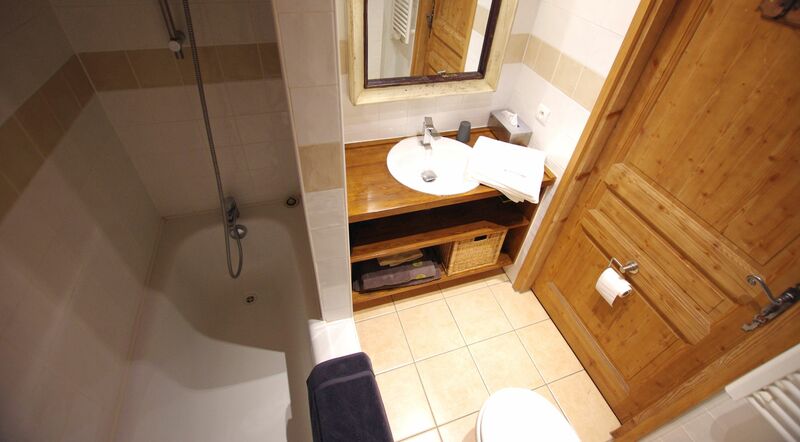 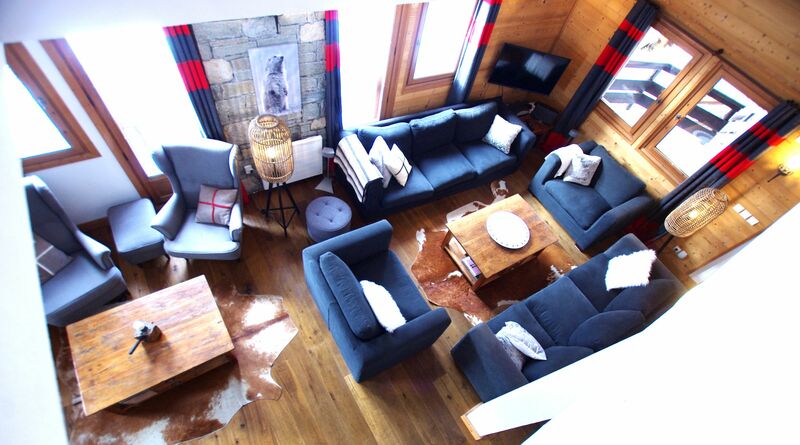 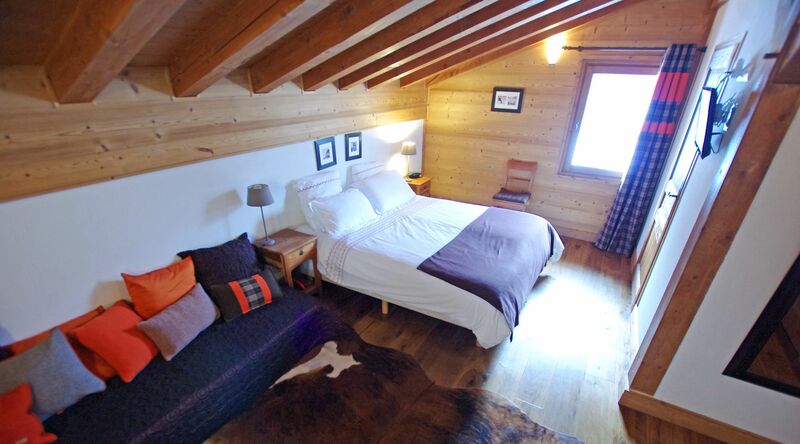 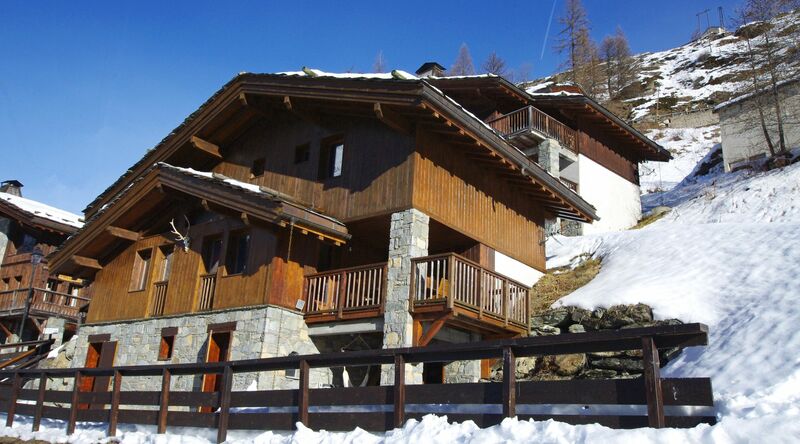 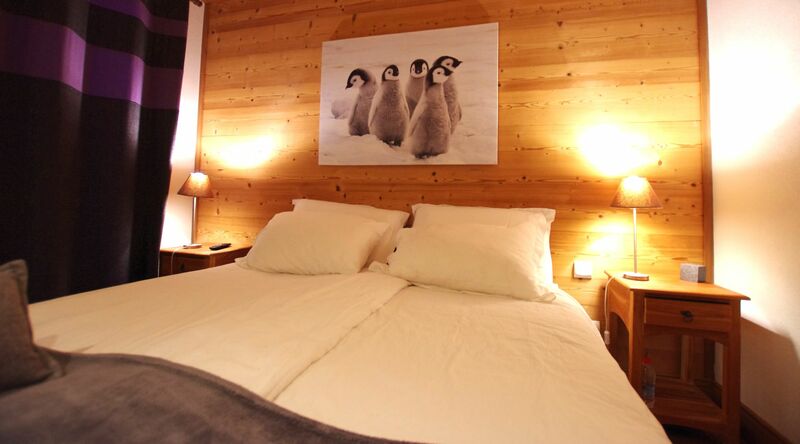 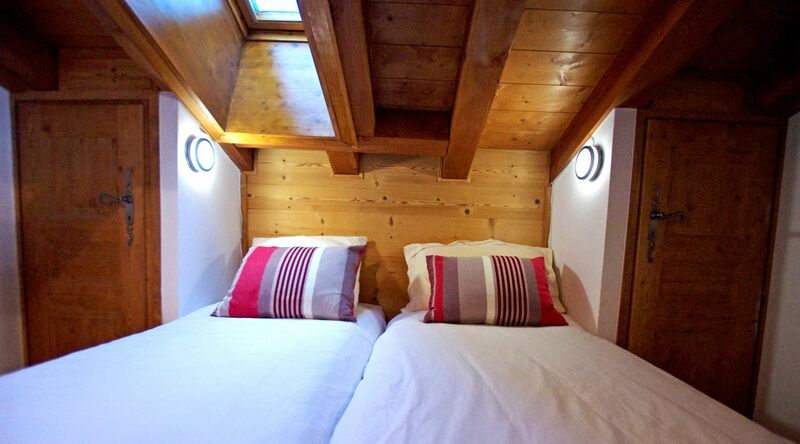 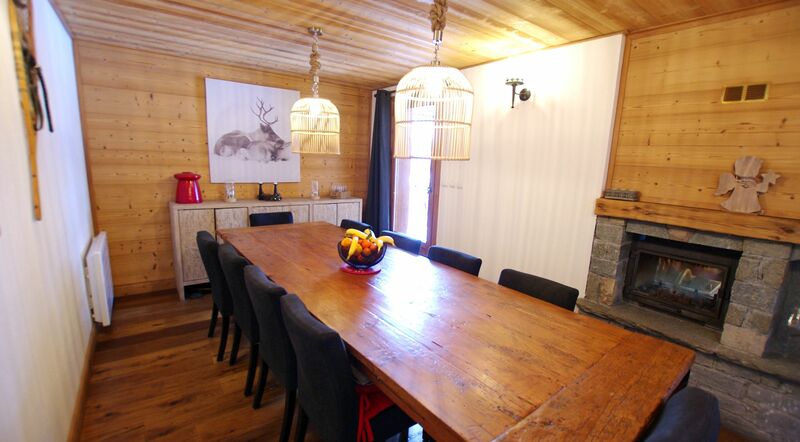 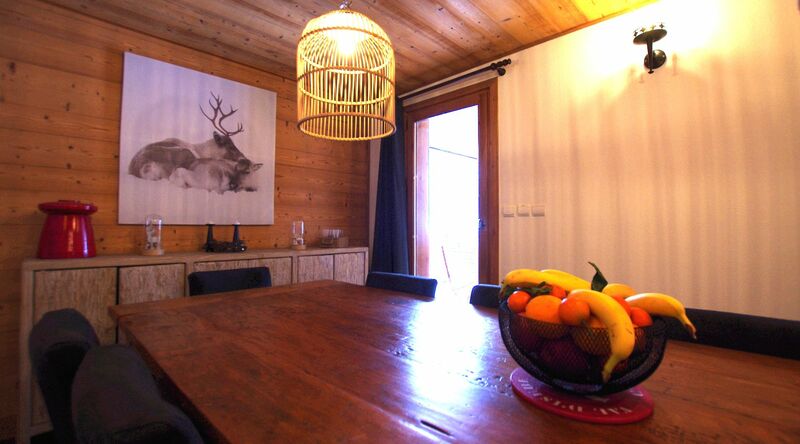 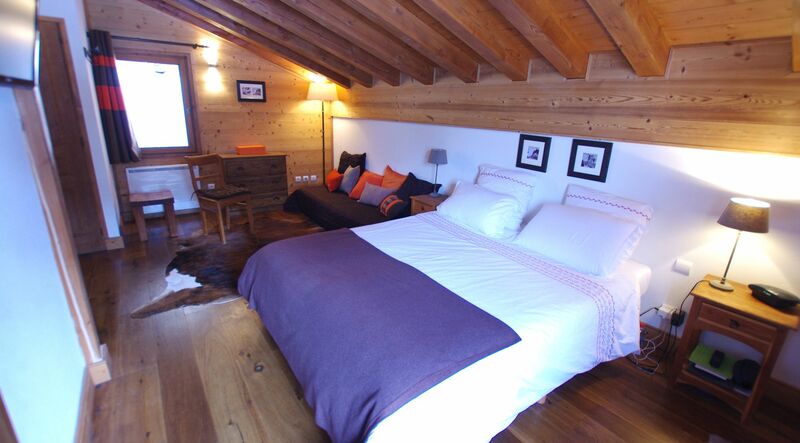 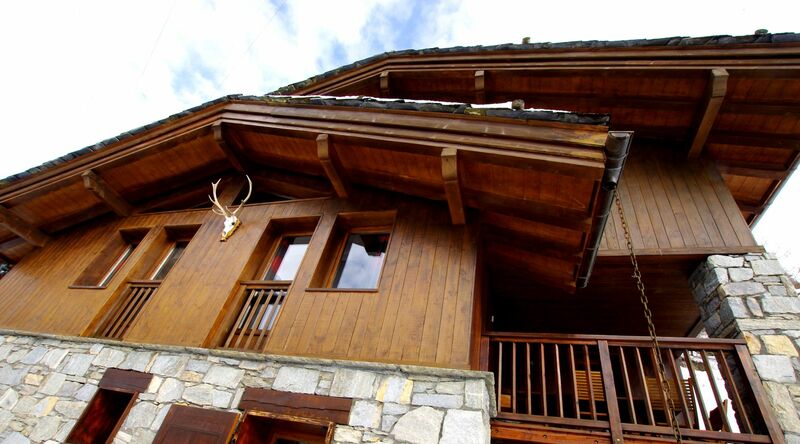 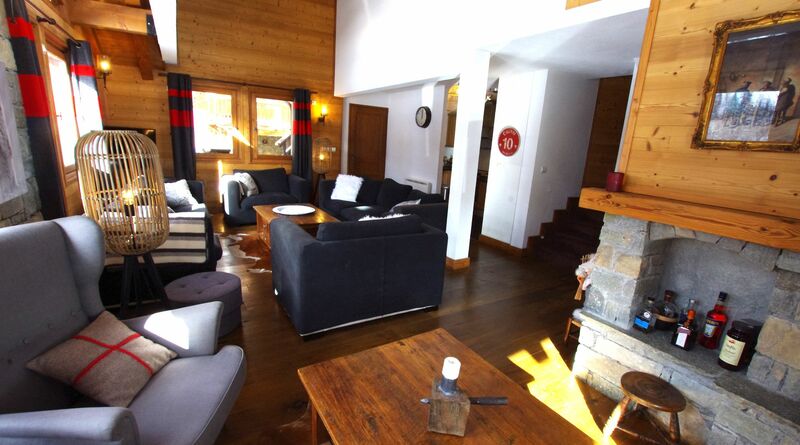 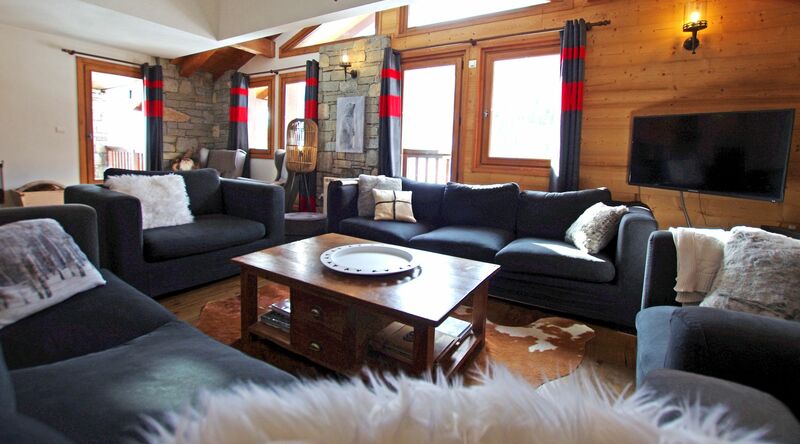 CHALET STEAMBOAT – 6 rooms 10 persons Tignes les Brévières (1650 m) which combines the charm of a traditional Alpine village with fast lift access to the Espace Killy. 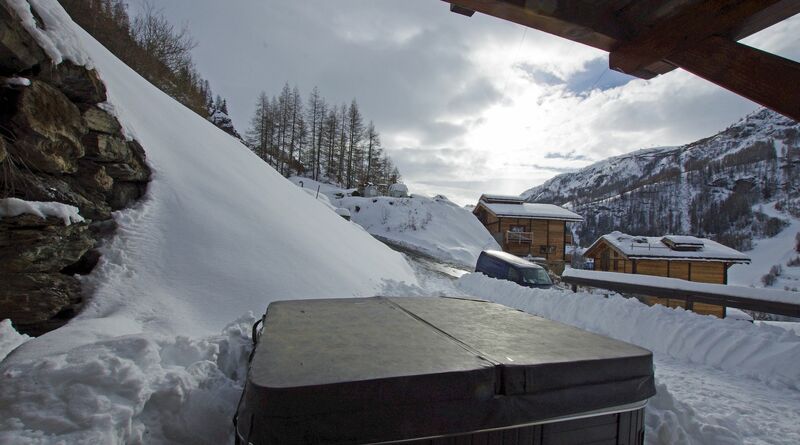 Sunny from the morning. 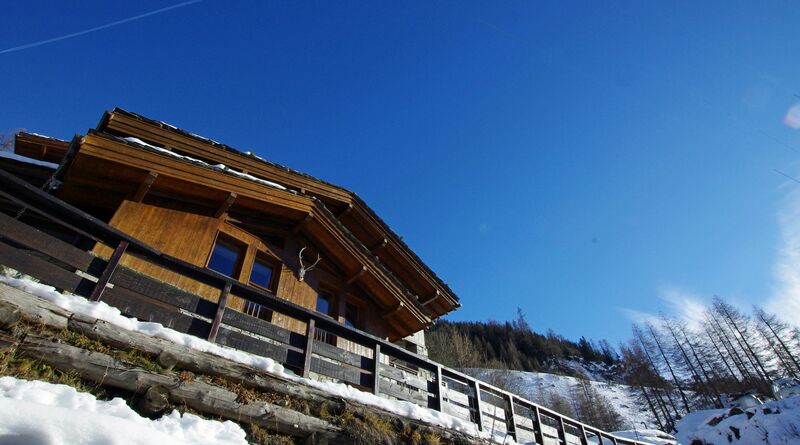 The village offers ESF Ski school and a free lift and slope for beginners. 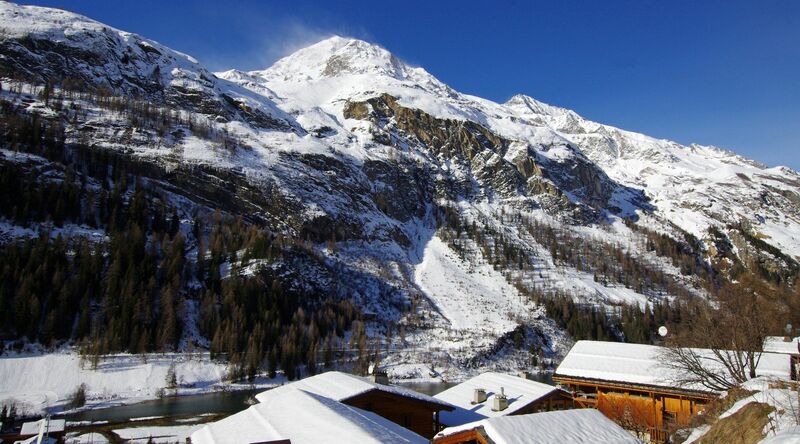 is located in TIGNES LES BREVIERES, the « Belvédère » area, 500 m above the village (shopping, slopes and skilifts). 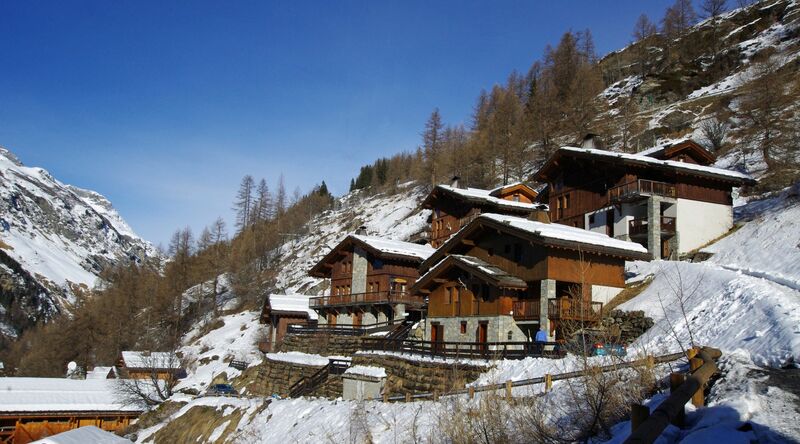 South and south-west facing balconies and terraces. 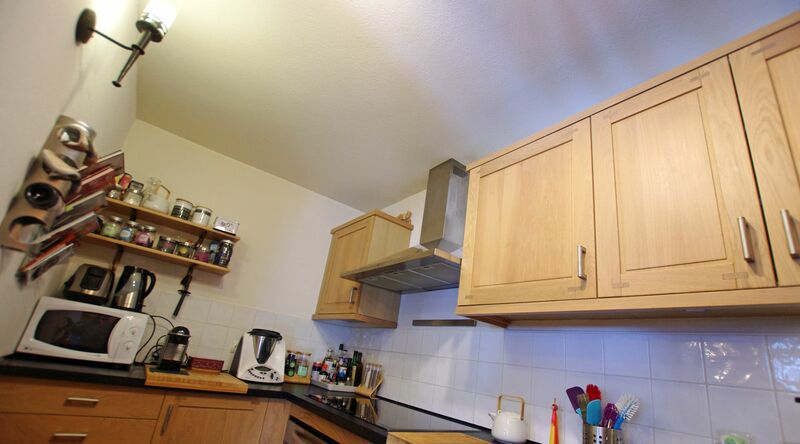 fully equipped kitchen : fridge-freezer, 4 ceramic glass cooktop, extractor hood, oven, microwave, dishwasher, kettle, Nespresso coffee machine, coffee maker, toaster, all useful cookware.